North Korea announced on Tuesday that it would be suspending its Wednesday, May 16 talks with South Korea over ongoing joint military drills conducted by Seoul and Washington DC. 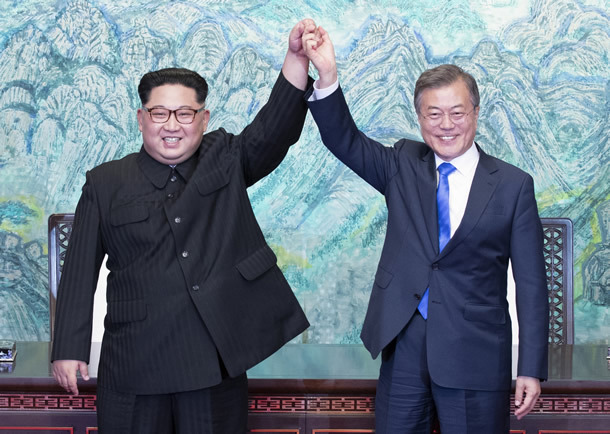 The high-level talks, which were a follow-up to late April meeting between North Korean leader Kim Jong Un and South Korean President Moon Jae-in, were expected to take place on the southern side of the truce village Panmunjom. Roughly 100 aircrafts, including US F-22 Raptor stealth fighter aircraft are expected to take part in the Max Thunder exercises. The move to suspend talks is also putting North Korea-US talks in jeopardy as North Korea is threatening to suspend the US summit as well. Talks between Kim and US President Donald Trump are expected to take place in Singapore on June 12. “This exercise targeting us, which is being carried out across South Korea, is a flagrant challenge to the Panmunjom Declaration and an intentional military provocation running counter to the positive political development on the Korean Peninsula,” a report from the North Korean Central News Agency stated, according to Yonhap News.